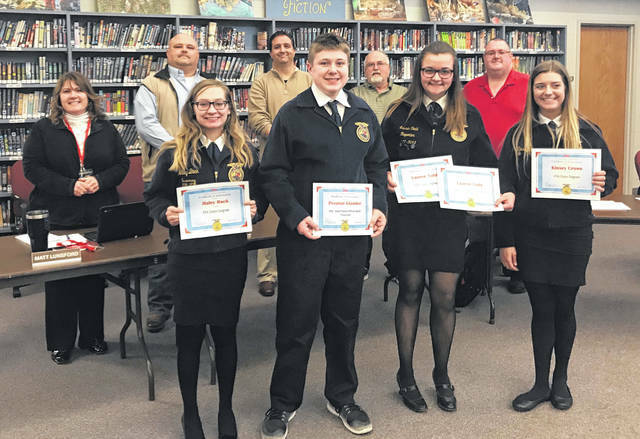 During the Twin Valley Community Schools Board of Education Meeting on Monday, March 26, the board recognized the FFA Chapter for recent achievements. Secretary Kaitlynn Crow, Treasurer Preston Glander, and Reporter Lauren Todd were all recognized for their Gold Rated Officer Book. The following students were recognized for receiving their FFA State Degrees: Haley Back, Gabrielle Cooper, Kaitlynn Crow, Kinsey Crowe, Madison Johnson, and Lauren Todd. Also during the Board of Education meeting, William Bowman was recognized for placing 1st Team All-CCC Boys Basketball and Mylan Crews was recognized for State Indoor Track. Jacob London was supposed to be recognized for State Indoor Track, but was not present. https://www.registerherald.com/wp-content/uploads/sites/41/2018/04/web1_IMG_8332.jpgDuring the Twin Valley Community Schools Board of Education Meeting on Monday, March 26, the board recognized the FFA Chapter for recent achievements. Secretary Kaitlynn Crow, Treasurer Preston Glander, and Reporter Lauren Todd were all recognized for their Gold Rated Officer Book. The following students were recognized for receiving their FFA State Degrees: Haley Back, Gabrielle Cooper, Kaitlynn Crow, Kinsey Crowe, Madison Johnson, and Lauren Todd. 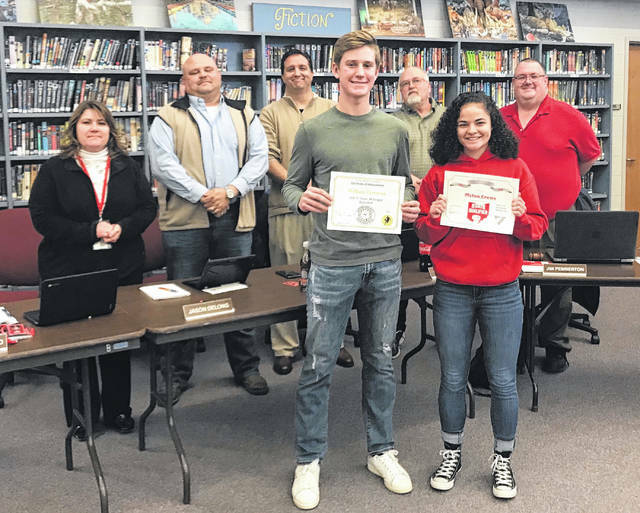 https://www.registerherald.com/wp-content/uploads/sites/41/2018/04/web1_IMG_8334.jpgAlso during the Board of Education meeting, William Bowman was recognized for placing 1st Team All-CCC Boys Basketball and Mylan Crews was recognized for State Indoor Track. Jacob London was supposed to be recognized for State Indoor Track, but was not present.